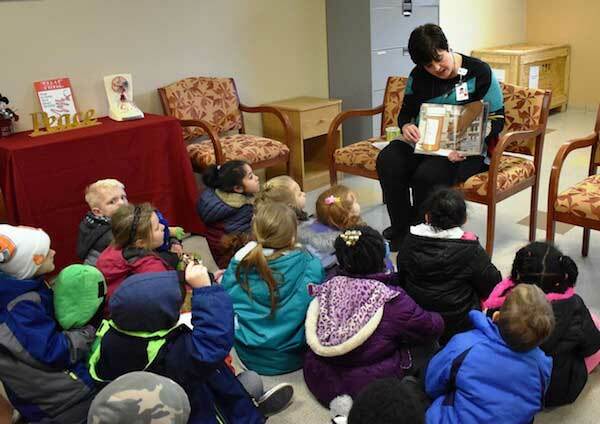 MEDINA – Albion Elementary School children recently attended the Teddy Bear and Doll Clinic at Medina Memorial Hospital. They visited the nurses’ station, where nurse manager Mary Dunham (pictured) patched up their dolls and Teddy Bears with splints and Band-Aids. The hospital welcomes kindergarteners for the Teddy Bear and Doll Clinic. The students are urged to bring in a stuffed animal or doll that could be bandaged with pretend injuries. The hospital hopes the event will help children to feel more comfortable if they ever need to go to the hospital. 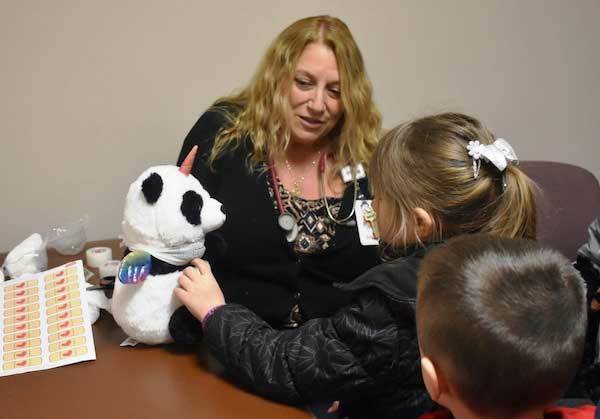 Kate Brauen, pharmacist at Medina Memorial Hospital, greeted children from Albion Elementary School during the Teddy Bear and Doll Clinic. The children learned medication safety and what a pharmacist does. Students were also served a healthy snack during the Teddy Bear and Doll Clinic. Children taste tested some new foods and learned about healthy eating.